I’m a big fan of Paulita Kincer’s novels, and I honestly think this is her best yet. 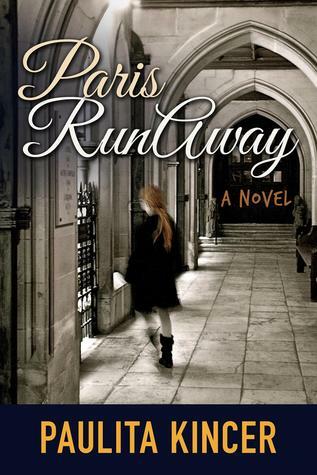 It’s an exciting story that takes us from Florida to Paris and Marseilles as Sadie tries to find her runaway daughter, Scarlett. Sadie is still healing after an unpleasant divorce and has been neglecting herself and devoting all her energies to her two girls, to try and keep their family life going. Conversely, although she is going through a complete nightmare of worry and helplessness, the experience is bringing her back to life. She teams up with Auguste, the father of the young man, Luc, that Scarlett has followed to Paris. This new partnership benefits them both. There is such sharp attention to detail it keeps the reader riveted. All those little Frenchisms which, as a visitor to the country, hit you with such force. As an expat in France for ten years, I’ve stopped n noticing some of them, so as I read this book I had plenty of ‘oh yes, that’s so true!’ moments. A couple of examples are how the way of numbering floors is blocks of flats is uniquely French, and how there really is such a thing as ‘the art of French shrugging’. The characters are so well portrayed. Sadie is in many ways a very typical fifty-year-old mum of growing up, if not quite grown up, children. She’s pretty au fait with social media, and she’s one step ahead of me in being able to store her plane ticket on her mobile phone. Auguste and the minor French characters we meet are so obviously and convincingly French. Scarlett is not quite every difficult teenage girl, because she takes things to the extreme in her flight abroad, but she exhibits many of the traits you associate with her age group. I particularly like the monotone which she reserves especially for her poor mum. This is a wonderfully written story and it will keep you gripped from cover to cover. I’m already looking forward to Paulita Kincer’s next novel. The book is available from all Amazon stores in paperback and ebook.